Bold Strokes Books, 9781626398634, 240pp. The law of three is everything: three vampires for a coterie, three demons for a pack, and three wizards for a coven. Those alone or in pairs are vulnerable to the rest. Luc, Anders, and Curtis--vampire, demon, and wizard--sidestepped tradition by binding themselves together. 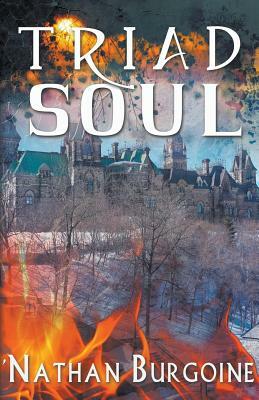 When something starts brutally killing demons in Ottawa, the three find themselves once again moving among the powers who rule the city from the shadows--this time working with them to try to stop the killings before chaos and blood rule the streets. Hunting a killer who seems to leave no trace behind, the triad are forced to work with allies they don't dare trust, powers they barely understand, and for the good of those they already know to be corrupt.